This is the continuation of our quick study of what SEO means to you. Part One - What Does SEO Mean To You? Backlinks are links that are directed towards your website. The number of backlinks is an indication of the popularity of that website. Backlinks are important to SEO because some search engines, especially Google, will give more credit to websites that have a good number of quality backlinks, and consider those websites more relevant than others in their results pages for a search query. When search engines calculate the relevance of a site to a keyword, they consider the number of QUALITY inbound links to that site.A search engine checks the content of the sites to determine the quality of the link. Anchor text is important in SEO because it’s one of the main things Google looks for and demands when deciding where to index your page in its search results. It is part of the Google search algorithm. Google (and to a lesser degree other search engines) heavily weights its Search Engine Results Pages towards the anchor text of links to a page. Anchor text is the clickable text of a hyperlink. It is a description of what you are linking to rather than showing the actual URL itself. Anchor text is the visible text of a hyperlink, for example the text link below links to our home page (http://www.blogguidebook.com/) with the anchor text The Blog Guidebook. What are Sneeze Pages? How are they useful? Have you heard the term "sneeze pages"? This would refer to "sticky" posts or posts that can appear at the top of your blog...such as your most popular posts, or a post containing thrilling information.This is also a great way to showcase many of the post archives on your blog...helping important content resurface, thus allowing you to use your internal deep links again. Read more about who created the term "sneeze page". If you use YouTube on your blog or website to promote yourself, (creating informational videos, informal chats with your audience etc. 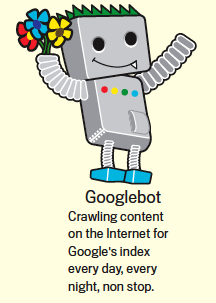 ), Google will likely rank you higher on the page index. And we've mentioned this before, don't forget to name your images properly before uploading them. This will also help your ranking... Name the images appropriate for the post subject. For example, we love to search by image in Google, and will likely read a story based on the image we find...this means that Google searched a subject by image name. You can find out information like: new ranking factors, how many errors you have on your blog that prevent results, tests your sitemap, finds spammy link profiles and tracks queries. If you're signed in to your Google account this will automatically tell you which blogs you have loaded and if there are any issues. For great answers to your questions about what Google Webmaster can do for you read these questions. Read some of Google's content about SEO: Google Basics (Learn how Google discovers, crawls, and serves web pages), Webmaster Guidelines (Best practices to help Google find, crawl, and index your site). When do you Tweet? When do you publish to Facebook? What is your optimal time to share in your niche. These are all trial and error, or discoverable answers. Try to send out your posts when you know your readers will have time/energy to read them...not at 2 a.m. etc. 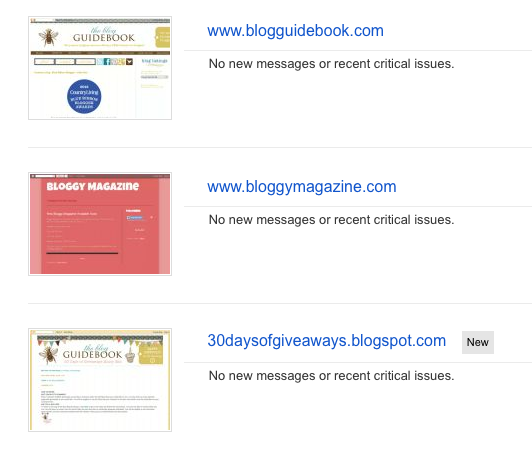 There are several sites that offer a publishing schedule for your posts. Check out Hootsuite and Buffer to name a few. Let us know how you use SEO on your blog! Good luck! Do you think SEO is dead? Thanks for the information I was getting messages in my spam about SEO's and started to research it. I am still like duh...but I'm learning. We're always learning aren't we? Good luck and have fun blogging! Let us know how you're doing. Hugs!